In today’s political climate, it’s safe to say that Aaron King has his work cut out for him. 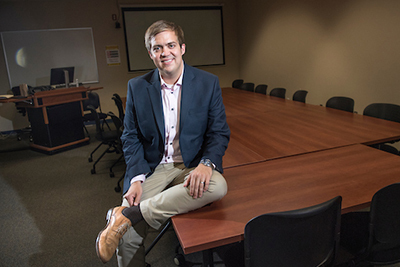 As an assistant professor in the Department of Public and International Affairs, King thrives on introducing students to concepts that may challenge their world view. 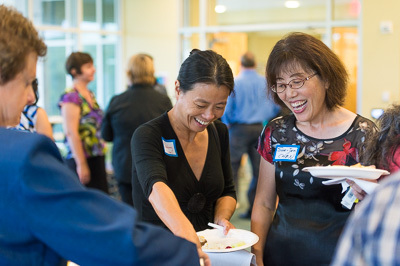 Shanhong Luo (left) of the psychology department and Sue-Jen Chen (right) of the Watson College of Education enjoy themselves during the UNCW International Faculty and Staff Association reception on Oct. 10.